Extra sharp cheddar and cream cheese can be flavored with a variety of herbs and spices and rolled up ball- or log-shaped for a savory appetizer that will be a welcome addition to any party table. For added interest, roll your cheese ball in chopped pecans or walnuts. If you’ve been reading along for a while, you might have noticed something. 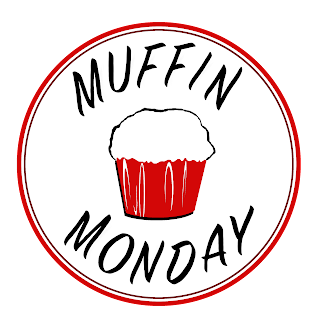 I didn’t have a single Halloween post until last week’s Muffin Monday. It’s not that I don’t enjoy Halloween. In fact, as I mentioned a few weeks ago, when my girls were little, I was chief organizer and instigator of Halloween celebrations in our little neighborhood in the small oilfield town of Macaé, Brazil. When we lived in Kuala Lumpur, we took part in trick-or-treating by joining another neighborhood’s festivities since no one went door-to-door in our mostly local area. 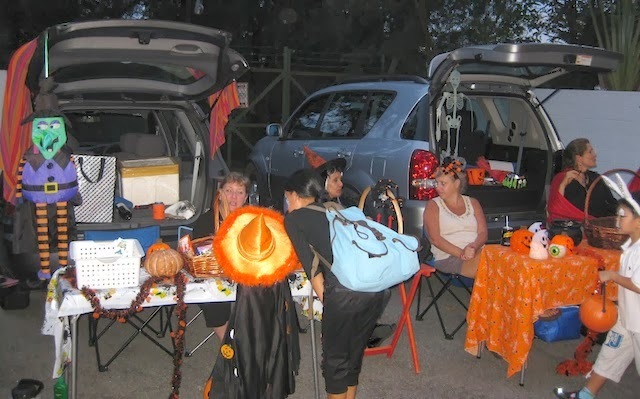 We parked on the route, decorated the trunk of our car and gave out candy. But since the girls left home for university and I started the blog, my Halloween decorating and baking has dropped off significantly, although I still join my friends to give out candy if I happen to be in KL for Halloween. It’s such fun to see the children in costumes. This week’s Sunday Supper theme is Halloween Finger Foods and since I don’t have little ones at home, I decided to go savory instead of sweet by making a spicy cheese ball that would be a great addition to any Halloween party table. Goodness knows there will be enough candy already. Like Linus from the comic strip Peanuts, I like to think that the Great Pumpkin will come to the most sincere pumpkin patch (or buffet table) and bring gifts for everyone. He might even be tempted by this cheese ball. It is most sincerely cheesy. Grate your cheddar cheese into a large mixing bowl. Finely mince your chives and garlic. 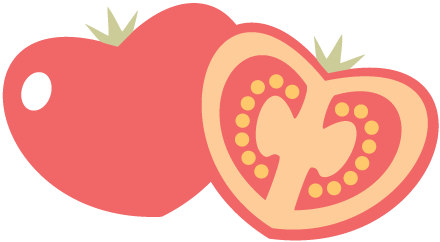 Cut the stem end off of the jalapeño and remove the seeds, if you want to add just a little spice. If you like spicy food, by all means, leave the seeds in. Mince the jalapeño finely. Add the softened cream cheese, the chives, garlic, jalapeño, smoked paprika and plain yogurt to the cheddar cheese. Mix thoroughly with a wooden spoon. Line a small round bowl with cling film and heap the cheese mixture in it. Press down with a spatula so the cheese fills the bottom of the lined bowl completely. Cover with the cling film and round out the top with your hands. It’s like playing with Play-Do again. Set the covered cheese ball in the refrigerator for several hours so it will stiffen back up. I ended up leaving mine overnight because I got busy with other projects. Remove the cheese ball from the bowl but leave it covered with the cling film. Press the ball into a pumpkin-like shape. Remember that pumpkins come in all shapes and sizes so don’t get too hung up on complete roundness or perfection. Use your thumb to make grooves in the ball from top to bottom. When you are satisfied that it looks like the best pumpkin you can manage, unwrap the cling film and use a soft paint brush to brush a little smoked paprika in the grooves to enhance the look. Cut the stem off your broccoli, keeping a couple of leaves attached, if possible. Cut what will be the top of your pumpkin stem at an angle. 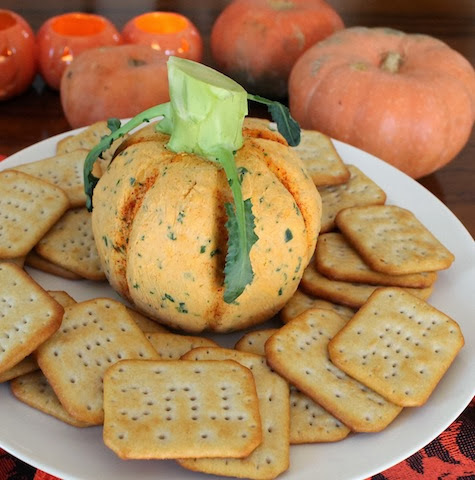 Set the stem on top of your cheese pumpkin ball and push it in just a little. Is that not the cutest thing!? Serve with crackers or bread, and don’t forget to put out a knife so that folks can cut a piece off and spread the cheese ball. Still wondering what to make for your Halloween party? Sunday Supper is here to help with a great list of finger food recipes! 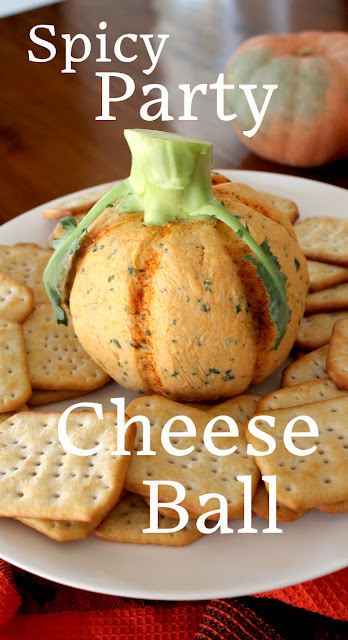 The best cheeseball ever for a Halloween party!! Love the way you shaped and decorated it. Fantastic! 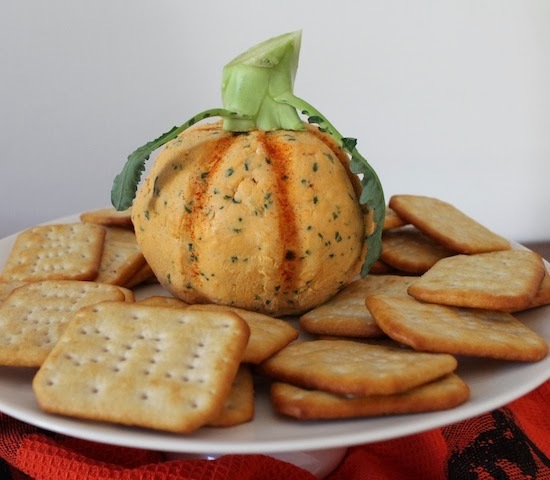 This is a good looking pumpkin, cheese ball, perfect in every way. Thank you for sharing. This is soooo gorgeous. I can't wait to make this at a party! This is the ultimate halloween cheeseball Stacy! Love the idea of the broccoli top! Now this is my kind of halloween treat! Wow! You did such a great job on your cheese ball! I love it and would love to eat it all!! I LOVE this recipe, and it would be perfect for my new link party. 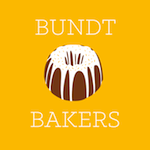 This link party is called 'Required Ingredient Recipe Link Party' and I'll be holding it every Sunday, starting right now. The idea is to focus on a single ingredient each week and I'm starting off with cheese because everyone loves cheese! 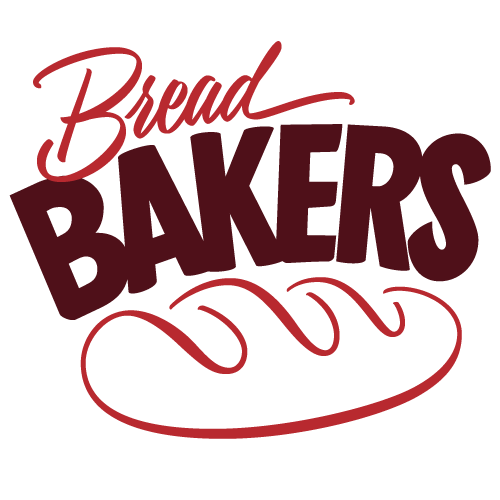 I'm planning to do a ton of promotion to get this link party off the ground, so any recipes you post should get lots of attention. Regardless of if you link up or not, I'm pinning this recipe! Yum! Such a cute idea, Stacy!!! Your pumpkin cheese ball is perfect! I have never seen something like this before, but it looks wonderful - I bet it's a real showstopper at a Halloween feast! Oh my word, this is the cutest cheese ball I have ever seen in my life. I love how you did this and I love how incredibly cute it is!! I love this, Stacy! I'm a sucker for a cheeseball, anyway...but this is just the perfect addition to a Halloween table or party. The broccoli stem is ingenius. This is AWESOME!!!!!!!!! I cannot get over how cute this cheese ball is. Love, love, love your cheese ball!! The stalk is pure genius!! Thanks, Shaina. It was tasty too. I wish I could take credit for the stem idea, Heather. I saw a photo on Pinterest but couldn't find it again when it came time to make the thing. I'll look again when I have more time because I'd love to give credit where credit is due. Thank you, Nicole. I was very pleased with it myself. I actually really enjoy being out on the street, Courtney. There is a festive air with all the children and parents walking around. Thank you, Liz. We really enjoyed demolishing it too. I think it would be. I took it to a friend's and we munched on it with cocktails that evening and then made cheese, tomato and onion sandwiches on baguette out of it for lunch the next day. Yummy. Thank you, Dorothy. Sincerity was of the utmost importance in this project. Thanks, Karen, but I believe one of the rules of Sunday Supper is not to add other links or badges in this post. I do appreciate your visit and would love to link up with another cheesy recipe. Thank you for pinning! Thanks, Jennifer. It was a lot of cheese but we really enjoyed eating it. Thanks, Paula. I can't take credit for the broccoli stem. I saw it on Pinterest. When I went back to search for the link, I didn't find that one but I found a thousand other cheese balls shaped like snowmen, and spiders and turkeys and chicks and footballs and ... Who knew you could shape a cheese ball into so many shapes?! So many new ideas for party food! Hope you like it as much as we did, Marjory! Thank you, Kathia, and thank you for hosting this great theme! I just love this! Cheese balls are so good, aren't they? One of my favorite things, Kelli! So clever I love it! LOVE this cheeseball! I was thinking there was actual pumpkin in it. Regardless, I'm in love with this presentation. I wasn't crazy about them either, Lori, but I have grown to love them. Perhaps it's a grown up thing. Thanks, Anita. We did too!